Our work: communication and transcription. The Communications Officer is responsible for this website, Perspectif, the websites developed by Wales Council of the Blind for its members and for producing accessible information. 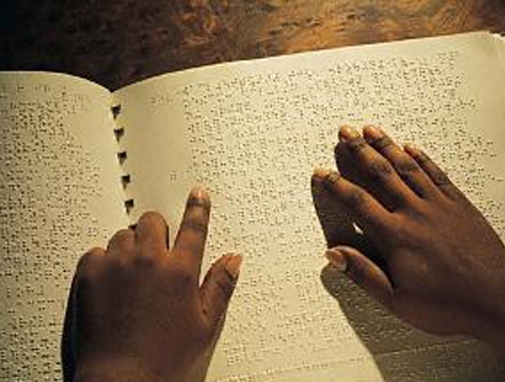 The Transcriptions Unit was piloted in October 1995 to provide a service to those representatives of WCB who required large print, audio tape and braille documents. In addition the Unit could provide training and consultancy in matters relating to accessible media. These services are offered to voluntary, public and commercial sector organisations. Clients include the Welsh Government, Employment Services, Welsh National Opera, Arts Council for Wales, Welsh Language Board, Disability Wales, Cardiff University and various unitary authorities in Wales. We have also produced accessible versions of official National Assembly "door-drops". For more information, contact Richard Bowers via richard(at)wcb-ccd.org.uk.